Okay, so maybe not exactly everyone should use a paper planner. If you are one of those people who loves your Google calendar and phone alerts then maybe paper isn't for you. Maybe I'm just tired of all the people that tell me paper planners are obsolete and I should definitely go digital, because I'm here to tell you that digital is not where it is at for me in calendars and planners. I would never show up anywhere. Believe me, I've tried the digital thing. Google calendar and me are not friends. At work, I try to use it, sort of. At least, I get alerts to go teach my class (set up by the department secretary), and my students will sometimes send me their calendars for scheduling. But mine hasn't been updated for several years. A paper planner is the only way I can keep my life together. So paper it is. Now, I've already written extensively about the paper planners I've used in recent years and their pros and cons. Today I'm going to tell you all the reasons why I keep using one, even as everyone around me goes completely digital. I recently came across an interesting article about how writing is superior to typing when it comes to remembering. Not only did I feel vindicated about my insistence on using a paper planner, it cleared up a lot of things about my personal learning style for me. When I was in college studying opera performance, I used to go through notecards by the thousands. The notecard company must have LOVED me! I used them to write the lyrics to my arias over and over and over again. I would literally sit down at a desk for two hours and write out Italian, German, French, and English lyrics on my notecards. I would then try to write them from memory, compare with the music, and do it all over again. That was the only way I could memorize the lyrics. Nowadays, when I am learning a new song, I feel I don't have the time to sit down and write for a couple hours. So I listen while doing the dishes, I listen while in the car, and I try to memorize that way. For me, it is ineffective. I was blaming it on being 40, but instead I think I'll blame it on not writing it down. When I write something in my planner, I remember it 90% of the time, even if I don't look at it again. If I type something into Google calendar, it's gone from my psyche in a matter of seconds. Just like that Facebook status I just wrote, er, typed. I like to color code my planners, so these are my favorite pens to use to write in my planner. However, I keep thinking I should try these erasable pens that everyone raves about. Because if there is a downside to using a paper planner it is that you can't just delete appointments with a key stroke, so really good erasable pens would be pretty awesome. I have kept every single planner I ever had. I have also kept every single journal I've ever had, and that's a lot. The only digital record of my life is this blog, and I even have hard copies of that. While most of my journals live in a bin in my basement, I occasionally enjoy digging them out and reminiscing about my life. Except I still stay far away from my embarrassing teenage boy crazy volumes--I may never be ready to revisit those journals! I know you can see lots of things at once with your Google calendar, but I like to be able to see not only my calendar, but my to-do list, random notes to myself, inspirational quotes, etc. All on the same pages. I like that I can do that by opening my planner. I also like that my specific planner has a lot more than just calendaring pages. It has holiday planning pages, it has note taking pages, it has budgeting pages, it has goal setting pages. You get the drift. Not only does it tell me where to go and when to be there, it helps me with many other aspects of my life. But that's the best part. It's easy to open up your planner and write something in it! So much harder to get to your computer and type your schedule, and even my phone is annoying to use that way, for me. I don't have to learn any technical anything. I don't have to worry that my battery will die and suddenly all of my appointments for the day will be inaccessible. It's all right there in my book, which only becomes inaccessible if I forget to bring it with me. Maybe that's happened a few times, but mostly it lives in my purse, so it's all good. It really does. I LOVE writing things down as they inspire me. I love going through my schedule and making necessary adjustments. I love how cute my planner is. I love how functional it is. I'll just never have these feelings about the Google calendar or even my iPhone. I just won't. This is my awesome friend Trisha. She has the same planner as I do and loves it just as much. 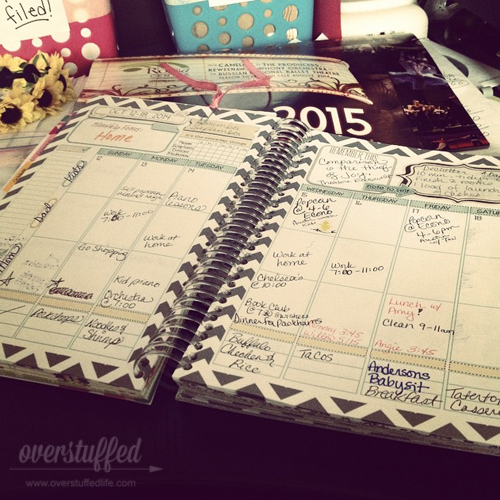 I love that we use our planners totally differently--we customize them to our own lives. The sad thing is that I just added three more things to it since taking this photo last night. Also? My teenager is going to kill me off this Saturday, basically. I use the bottom section to keep track of what I wear to work I hadn't actually been to work yet this week when I took the photo, so here is a photo of a prior week. I would wear the same thing every few days if I didn't do this, I promise. Trisha divides up her days between herself, her kids, and her husband. She uses the lower portion mostly for menu planning (I don't DO menu planning, LOL). She puts a monthly focus in one of the boxes on top to remind herself each week. She also adds inspirational quotes and other random notes the same way I do. 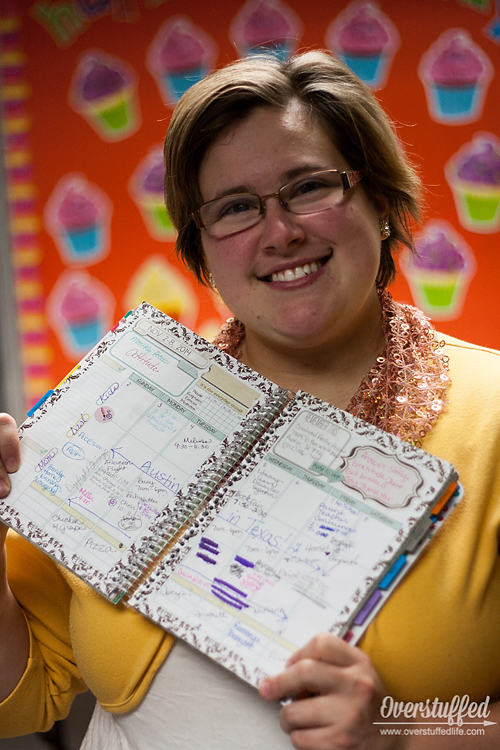 "I love the ability to see everyone's schedule. Especially a week at a time. I love having things laid out so I can see everything. I especially love it when I am meal planning so I can see when I have time to cook and prepare or when I need to have something quick. I also use the boxes at the top to remind me of my monthly happy project goals. I love adding stickers and using different colors. I'm a big fan of the tabs, too, since I usually need to flip back and forth a lot. 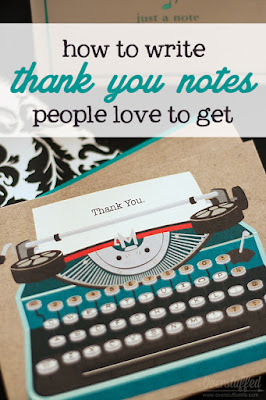 "It's also a way to make me feel better about not journaling since I can keep it and see the things I've written down. It grants me the ability to reflect on previous months, too." 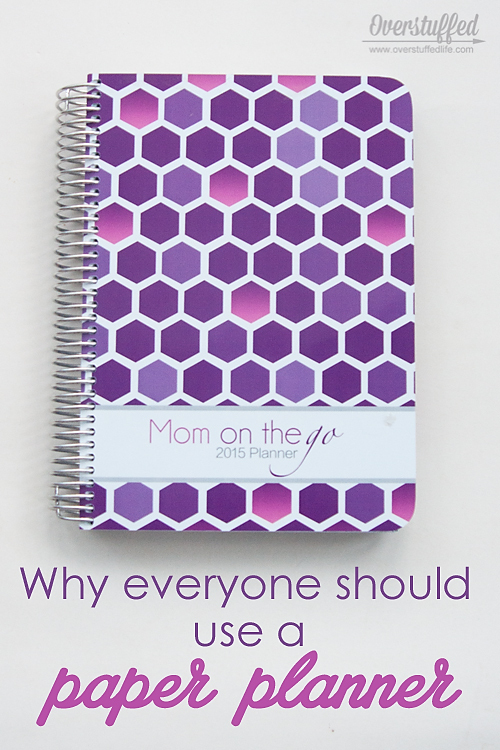 A 2015 Mom on the Go planner. Totally cute and extremely functional. I already reviewed two versions of this planner in my big post about planners, but some good changes have been made in this years' version. First of all, they added back the metal spirals. I had mentioned that they had them before and went to plastic for the one I currently have (I like my planners on the academic year instead of the calendar year--this planner is available both ways). The plastic spirals haven't been as sturdy, so I am pleased to see they went back to metal. They added a two-sided pocket! I can't wait to get my own pocketed version in July! I love to have a place to stick things like handouts from church, fliers I need to keep, and other random things like that. 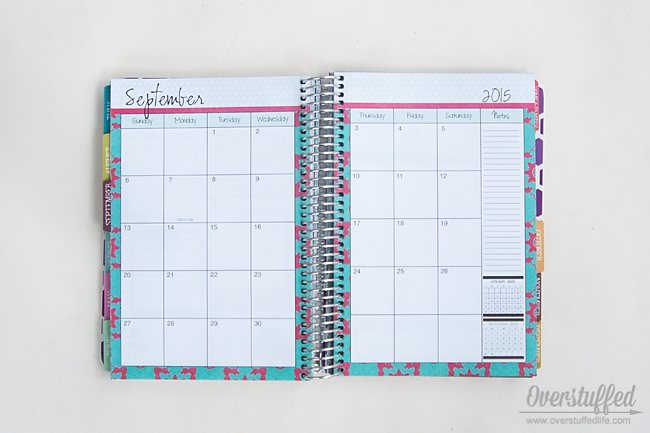 Month at a glance with a small space for note taking and look-ahead calendars. Incredibly detailed holiday planning sections in the appropriate monthly tabs. There are many more awesome features. I truly love this planner. 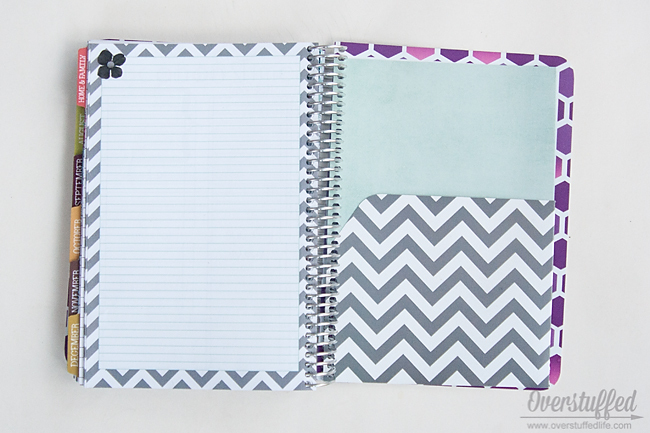 What's your favorite part about using a paper planner? I only use a paper planner.. since I like to be able to enter stuff fast. Plus i am more apt to do it if I can quickly jot it down.. I always think "i'll put that into my google calender later" and then never do it. Plus it is annoying to behind someone at the dentist's office hunting and pecking to enter their appointment date into their phone. Nothing else can work for me. No smart phone...and I need to take it with me. :) This one looks great. I'm up for a new one next month, and I'd like to try this! 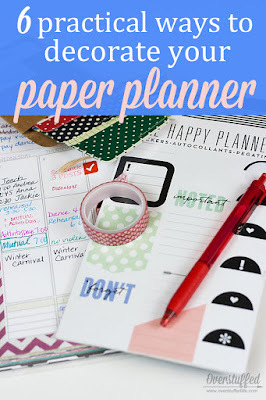 I love Google calendar, but I also love paper planners. I got addicted to a Franklin planner in high school and used one faithfully until just a few years ago. 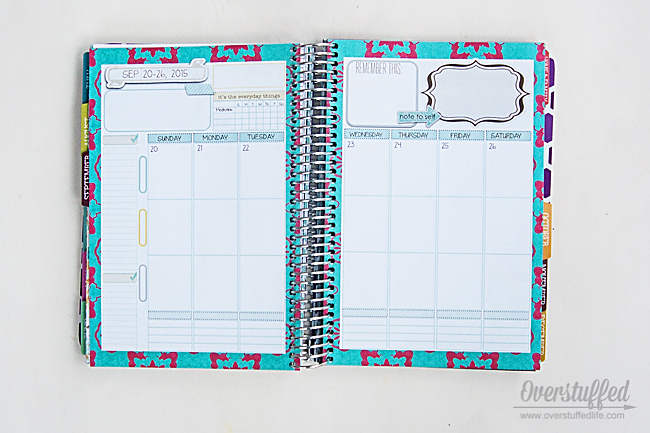 This planner looks fab -- I'd love to win it! i've tried other planners and the fact that they can be turned off, or batter low, or 'slow'. i like being able to write and be done and to see everything at a glace--more than can be seen on a small screen. another reason, i don't like taking my phone to bed--i charge it downstairs on my desk--but before bed is when I look at my next day and when I remember important things that need to be written down. I haven't ever used a paper planner, just paper notes and a calendar that hangs on the wall for years. Then I started using my phone to remind me of things and put notes. I have found that I forget more things and it takes longer to find them than if I had it all down in one place, so I've just been thinking about getting a planner so I'd love to win one! I am totally a paper planner person also. I tried the digital ones but they just weren't me. I also find that when I physically write something down I am 10 times more likely to remember it. 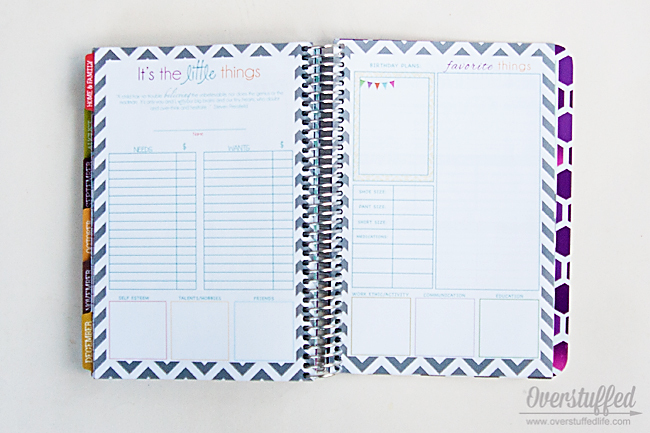 This planner looks amazing and has so much I use on a daily basis. I would be totally lost without a planner. Paper planners are essential to me. I love writing down everything from budget and gift ideas, to due dates for the kids and I and shopping list. I love the features of the planner above, I would love to win it. I keep trying to go digital too and it just doesn't work either. I love paper planners that are pretty, I love fresh new pages every once in a while and using fun colored pens and markers. I'm in your camp totally! Keeping track of my crazy family, everyone loves their devices, but everyone knows that the only way we don't miss something is if mom has written it down in her paper planner. I absolutely agree with chickbunhomeschool though, there is something about being able to "See" my/our/their plans. 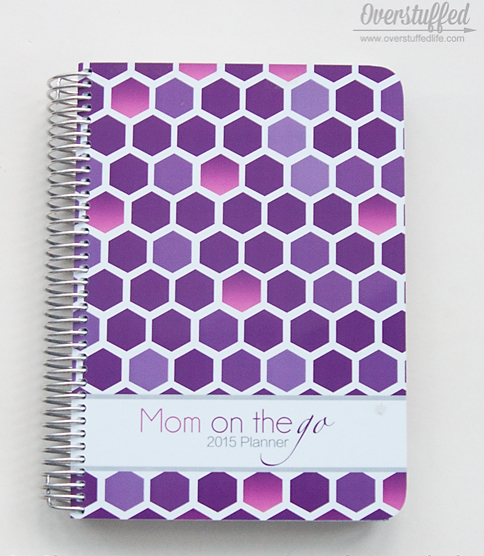 This Mom on the Go Planner is adorable. I LOVE all the colors. Too cute. I am a paper planner gal too. I tried the Mormon Mom Planner a couple years ago and really liked it. Love paper for to do lists. The digital version never fully gets my attention. My husband and went to COZI a few years ago for calendaring, and I must say it helps so much to have calendars for everyone in the family in one place in a way that Google calendar can't match, because it was made for family schedules. Do what I do now on the weekend is copy my calendar for the upcoming week from cozi into my paper planner and add to do's errands, etc. STILL LOVE PAPER PLANNERS! I am the same way. I have to write it down on paper or I forget everything! Paper all the way! I'm like you, just the act of physically writing it down makes me remember. Plus I do keep all my old planners with my journals. Just like you I prefer to see everything in a glance, I also remember better with paper. I love the feeling of dumping all of my tasks, concerns, appointments, etc. on paper in a clean, organized way. It feels clean (in it's totally chaotic messiness, because that's my life) and it's a relief! I would love to win this planner! I love writing things down -- right now I am just using my poor little on-the-wall calendar, which I have to take down and haul around to planning meetings, etc....very sad. I don't know why I haven't just gotten a planner a long time ago! They sound perfect! I love paper because I can write something down, cross it off, and see everything all at once. This is great and I still like to use one because I always think somehing might happen to my cell or my husband can see my week planned out. Great to use for my blog as well. I love paper planners. For me it works so much better than digital! Crossing my fingers. thanks for the great ideas. I love paper planners, like you said the act of writing it down helps me remember. I really need to get back into using paper planners and writing more. I don't have planner right now, I would probibly feel more organized and less frazzled if I did. I actually had this planner in 2014 and thought I 'liked' it so I went with another system this year...Here we are almost in March and I'm ready to go back to this planner NOW!! I love her designs because she is a mom who knows! If it's not written done, it's not gettin' done! I can see everything. I don't currently have a planner because I cannot find one that works for me. Too much stuff in it or not enough. Still looking for one. I'm so glad I found you! I thought I was the only one hanging on to my paper planner!! I taught school for 30 years and when the admin went to online lesson planning instead of my good, old reliable, blue, big box planner, I almost had a panic attack. I used the online version because it was required, but I never felt as "together" as with my paper lesson planner. I am retired now and in many ways am busier than ever. I keep up with a wire-bound planner very similar to yours. It does make me very happy and I do remember things much. much better!! I look forward to following you. I have never used anything but paper! I love writing things down! I really want a mormon mom planner but I am on a budget (hubby is in school) and didn't feel like I could put it in. I enjoy writing things on nice paper, it is not the same on the computer. I have been relying on the calendar on my phone, but have been looking around for a good paper planner that would fit and keep me on top of things. I keeps me sane and accountable, using mine for workouts, goals etc. Much easier to look at and everything is in one place. I recently got a planner from CVS, but it's not the best one to be using. BUT I love the idea of having one to help keep me more organized. I would love to have a better one that will allow me to plan things out better than my current one! Having everything in one place. I have the Simple Planner from MMP this year due to availability. I love the cuteness of it too ... that keeps me interested and want to use the planner. I love paper planning, I decorate my planner like a scrapbook! 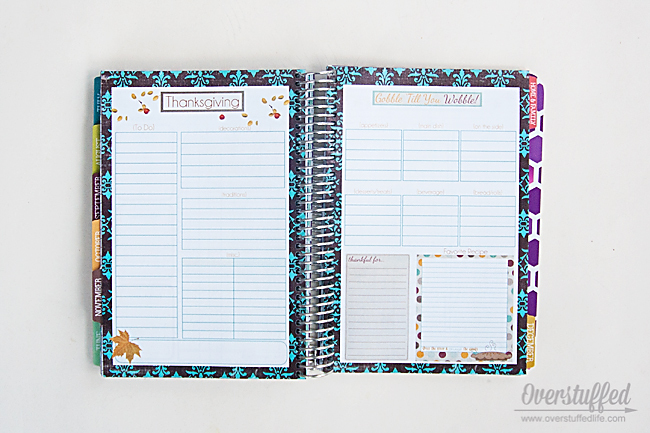 I use a plum planner with family planner inserts. I was actually looking at the mom on the go planner too!! I LOVE that its tangable. Not virtual. I like being able to cross things off when I'm done (it's just not as satisfying digitally!). I recently went back to a paper planner after trying, and failing, to use an electronic one. I'm loving it! I am so bad with digital planners. I LOVE paper planners way better! I love the colors of your planner! I love using a physical paper planner. I am not limited to the way it is "programmed" (and I work in IT!!). I love that paper planners are so versatile that with the use of washi tape or pen, I can make the sections work the way I need them to. I love using my colored pens in my own handwriting. My planner is so much more than a calendar, it is a safe place that I can not only plan, but fill with my hopes and dreams as I work towards them, but also remember as I look back through it. I'm an "old school" kinda girl that needs/loves to put colored pen to paper. This one looks like great fun! I have never been a digital planner kind of girl! I tried Google calendar once and it was the worst! 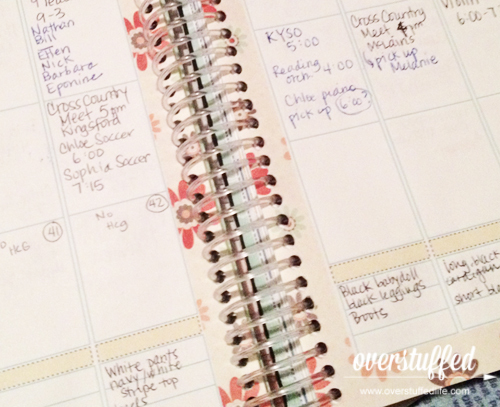 As a mom, I definitely have to rely on my planner to stay on top of things! I call my paper planner my "Keeper of all Knowledge" book. I have had one for years. Even though I have my google calendar sync with my phone I still like to write things down in my book. I remember things better when I write them down! I love planners too! However I have never heard of this one...it looks awesome! I need to see everything at once! This post inspired me. If I don't win the planner then I am going out and buying my own! I love having it in my purse and color coding with my favorite pens. It makes me happy and feels super organized. Plus, I have proof of how busy I am! I like using different handwriting styles from day to day and week to week. I love writing quotes and inspiring things down in mine. I have to have my planner. I set alerts on my phone for appointments, but I just can't go all digital. 😁😁 need to organize my life. I find Google Calendar getting me into trouble. I get times wrong, or totally miss things. I just recently went back to paper. Love this. I've been looking for a good Planner! Wow, isn't it a bit presumptuous to say that "everyone" should use a paper planner because you really like yours? If you were going for clickbait or trying to create a "planner love" echo chamber, congratulations; otherwise, you're not doing a good job of being convincing. 1) Meeting reminders on a phone are a significant improvement on writing something down -- a paper planner won't buzz and make noise at you if you get lost in a project and don't realize you need to leave in 5 minutes. If you want to take up your brain cells remembering all your appointments, that's your prerogative. I'd rather use mine for things my phone can't remember, like how it feels to witness natural wonders and accomplish significant tasks. 2) Yes, I have flipped through the past year or two on my Outlook calendar now and then. It can be fun sometimes, but I'm not willing to collect boxes of paper to keep that information around. I hate boxes of paper, because they take up valuable space that could be put to better use if my records were digital. 3) Ever heard of putting a window containing your calendar up beside an Evernote window? Just like a planner/journal/scrapbook/whole freaking filing cabinet, except without the need to flip pages to see two or three things at once. And with search functions and off-site backup. 4) Here, "It's easier to use" is shorthand for "I don't know how to use the other option effectively." In terms of physical and mental effort, it's generally much harder to dig out a book, find a pen, locate the correct page and make sure you have a surface to write on than it is to pull out your phone, tap the calendar app, tap the date you want and type a couple lines. I can even check the availability of my co-workers if I'm using my laptop, so I can choose a meeting time that works for everyone on the first try. 5) That is the only reason on the list that makes real sense, but it just means YOU should use a paper planner; it has no bearing on the rest of us. Lest you think I am a naïve futurist or one who believes the past is worthless, you ought to be aware that I spent many, many weeks of my childhood working on an 1880s farm and loving it. I now have a manual typewriter because I would rather use that to make story notecards than my laser printer. I know how to do calligraphy and cross-stitch, and I refuse to buy fiberboard furniture under any circumstances because I want things that will last. But I don't think that my calendar should be in a book, because the digital ones we have now just work better. In conclusion, please avoid sweeping generalizations. They're insulting and ignorant-sounding far more often than they're correct. Thanks for the well-thought out comment. I am really happy that digital planning and calendaring works so well for you. I am sorry you felt my title was insulting and/or ignorant, but if you read the very first paragraph you will see that I do not actually believe "everyone" should use a paper planner. My title was meant to be a humorous rebuttal to all the people out there who tell me that "everyone" should go digital. I've tried it, and it doesn't work for me, for all of the reasons listed, even though I am actually very technologically savvy. I sometimes use alerts on my phone, but writing with pen on paper has proven to be the only thing that truly helps me keep my life and schedule organized. Again, I think it's wonderful that digital works for many people, and I'm sorry to have offended you by a title that was meant tongue-in-cheek. Thanks for stopping by my blog--have a great day! Hi. Just discovered you blog--and really like it! 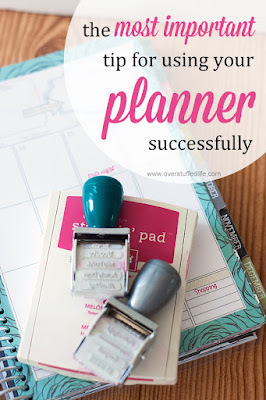 I used to use the Franklin Planner system and really enjoyed it. Then, I tried digital...and it didn't work. Now, I use a combo of my iPhone and a small planner (must have the one month at a glance). Sometimes I want to go back to a mid-sized planner. I'm not a mom, but I do like how that planner looks! It's definitely a great one. And I think most of it can be used without being a mom. There are just a few child-specific pages in it! So I have the same planner and I LOVE it too! I divide my day between to do / schedule / Educate (homeschool) on the schedule part I have a different color for each member of my family and a color for family things. I use the stabilio 88 pens (from germany) they are my fav! I'm always on the search for the perfect paper planner. I tried this planner several years ago. I haven't seen the 2015 version, but one complaint I had is that there were so many(!) random pages between the monthly tab and the beginning of the weekly calendaring pages. Everytime I needed to add something for a date in the future, I would flip to that month and then have to page and page and page and page (!) until I finally found the weekly calendaring pages. I hope she has put the weekly date pages right behind each monthly tab now. 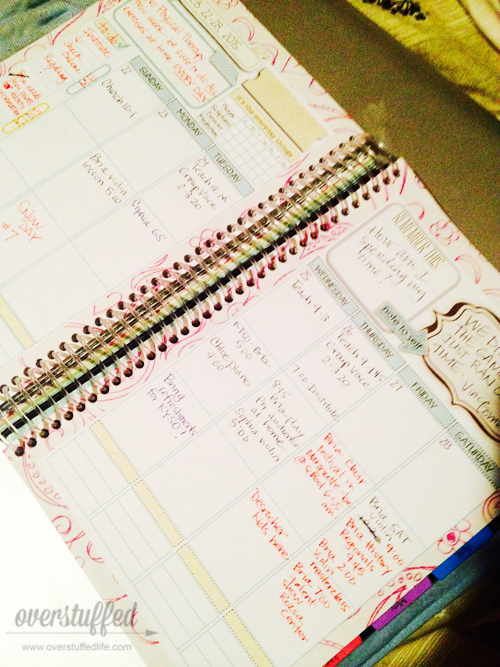 It would make navigating this planner a lot easier! I'm with ya, sister. I love, love, love my paper. All of this rings true to me! Great write-up! Yep! I'm a paper and pencil and pen and marker and highlighter and sticker and clip kind of woman! Love this, I love using different color pens, markers, stickers etc. I have used some form of a paper planner for the past 35 years (or longer). It used to be a day at a time when I worked full time. As a retiree I have a week at a time. With three daughters at home (long ago) I had them color coded, hairbrushes, toothbrushes and ink in my planner. Mine was the master calendar. If it didn't get in my planner it didn't get done. I've tried electronic but electronics fail. It is still color coded for my DH and me. The only way he gets to appointments. My cell is only used for daughters' texts and phone calls. I can't live without a good planner.